Sutton Rovers kept up their impressive knockout record as they eased into the East Lincs Cup semi-finals on Saturday. Holding an unbeatable 10-0 lead from the first leg, Rovers brushed aside AFC Louth 4-0 in the return leg to complete a 14-0 aggregate win and set-up a last-four showdown with Susie Stars. 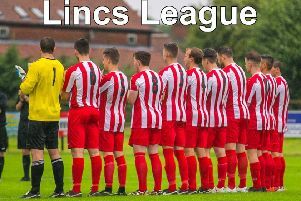 Louth Old Boys Reds got their Town Trophy campaign under way with a 2-0 win at North Somercotes United Reserves in Group B. The group’s other fixture on Saturday produced 13 goals, with Louth Old Boys Vets grabbing nine of them at Alford Town Reserves. Samuel Hallett hit a hat-trick for the Vets, while Graham West and Joe Wrisdale both grabbed doubles, and Dominic Goldby and Andy Smith were also on target for the visitors. Toby Davies and Lee Twigg both scored twice for Alford in reply. 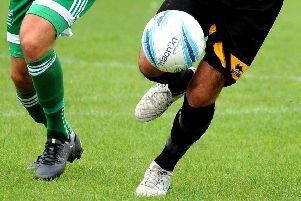 And Alford Town’s first team were also out of luck as they were beaten 7-6 in a thrilling penalty-shoot-out at Immingham Town Reserves in the Junior Challenge Cup. Jess Barrett and Matt Lunn both scored for the visitors as the quarter-final ended 1-1 at 90 minutes before both teams struck in extra time.